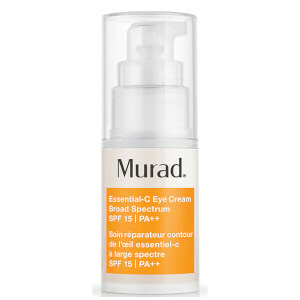 Discover a new level of skin protection with the Murad City Skin Age Defense Broad Spectrum SPF 50 PA ++++; a revolutionary sunscreen that shields skin from the main causes of damage. The mineral sunscreen effortlessly glides over the visage and décolletage, absorbing quickly without leaving behind an unwanted greasy residue. The effective formula boasts 100% mineral broad spectrum PA++++ and SPF 50, which protect skin from UVA/UVB rays, infrared radiation, pollution and blue light from devices. Each of these accelerates visible signs of ageing and therefore protecting against them encourages a youthful complexion. The innovative formula can be worn alone or is just as effective when paired with makeup. Arriving in a soft peach tint that is suitable for all skin tones, the multi-tasking formula offers instant colour correction, whilst a dose of Vitamin C visibly brightens skin. The cream completes the complexion by delivering a luminous veil with a radiant, pearlescent finish. Suitable for all skin types, including sensitive skin. Free from alcohol and fragrance. 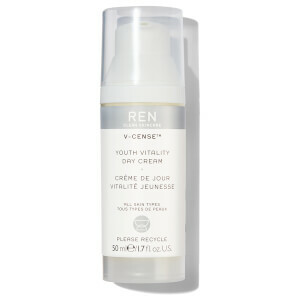 For best results, apply a generous, small amount after daily moisturiser application for complete protection.